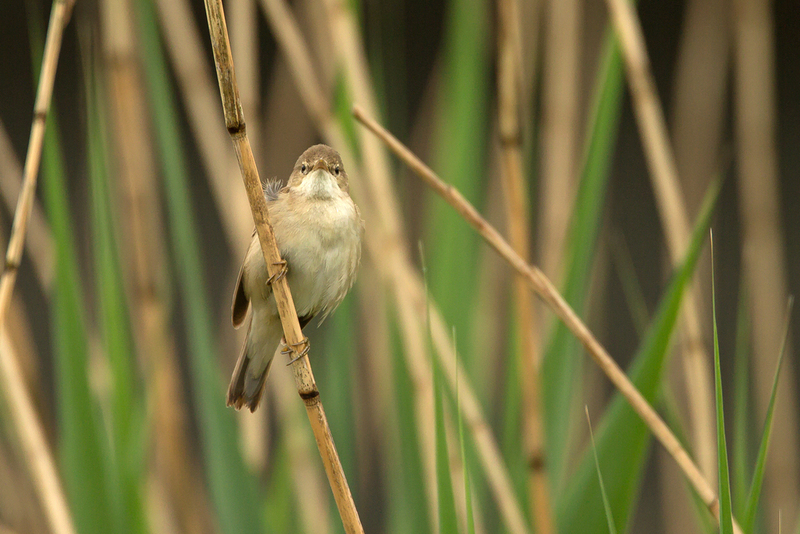 Eurasian Reed Warbler, East Lancs. THE LAST COUPLE OF WEEKS WERE QUITE PRODUCTIVE in catching up with some of East Lancs's rarest breeding birds. These included Grey Partridge, which is down to only a handful of sites, notably on the grassland of the West Pennines to the south of Burnley as well as Eurasian Reed Warbler, which is only a sporadic breeding bird, mostly owing to a lack of suitable phragmites reed bed habitat. A pair found by ELOC stalwart John Metcalf was building a nest, with the male singing occasionally. I was hoping that the recent torrential rain would have produced an interesting passage migrant, like Common Scoter for instance but no luck yet. June is a very good month for them in East Lancs, with the presumably failed breeders returning to the UK for the winter, taking a short cut to the Irish Sea across the Pennines and stopping off here. Project hobby has not been a success yet despite a lot of time put in but there have been a couple of sightings now quite nearby so hopefully it will be soon!